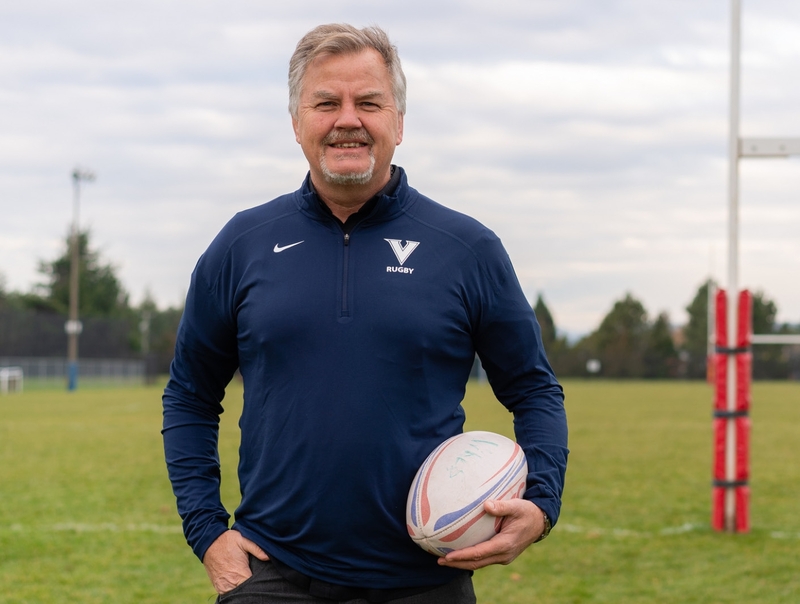 Most people in the BC Rugby community will know Mike Holmes, his list of accomplishments is long, now induction into the UVic Sports Hall of Fame has been added to the list. Mike is the chair person of the Canadian Rugby Foundation which has helped the national women's team dispense with the pay to play model through the Monty Heald Fund. Mike and the CRF have also been driving forces in the new Canadian Men's University Rugby Championship and the Canadian Club Rugby Championship. The foundation have funded many youth tours over the years as well. Mike and his company Pemberton Holmes have been huge rugby supporters over the years, sponsoring several clubs and tournaments. We're proud to say they've been a BCRN sponsor almost from Day 1. VICTORIA – The University of Victoria Vikes are pleased to announce the 2019 class of the UVic Sports Hall of Fame that includes two athletes and one builder. Joining the hall will be two-time women's basketball national champion Lori Clarke, a member of the inaugural national championship-winning women's field hockey team Sara Brant Ballantyne and outstanding contributor and champion for Vikes rugby Michael Holmes. "Honoring sport leaders who have contributed so much to the legacy of athletic excellence is the reason we host our annual Celebration of Champions Banquet and welcoming three new members to our UVic Sports Hall of Fame while be an important component of the evening," said Clint Hamilton, Director of Vikes Athletics and Recreation and an alumnus of the Vikes men's basketball program. Clarke becomes the fourth women's basketball athlete inducted into the hall following Carol Turney-Loos, Luanne Krawetz (Hebb) and Tracie McAra (Sibbald). Brant also follows a prestige group of women's field hockey inductees including Olympians Lynne Beecroft, Deb Whitten, Nancy Mollenhauer (Charlton), Milena Gaiga and Rochelle Low, as well as Vikes Laurelee Kopeck and Jan Crook. "Lori Clarke and Sara Brant are two world-class athletes who were instrumental in leading their respective UVic teams to national championship glory, while also contributing to Canada's national teams," added Hamilton. "Together, Lori and Sara represent the best in UVic athletics and are indeed inspirational role models for our current and future Vikes." Holmes will be just the sixth builder inducted and will join builders and inaugural Vikes men's rugby coaches Dr. Bruce Howe and Dr. David Docherty, as well as Howard Petch, Wally Milligan and Derek Ellis. Holmes, also a former Vikes men's rugby player, has been a large driver for securing support for the Vikes rugby teams. "Mike Holmes is a builder who leads by example in generously supporting Vikes student-athletes and advocating for others to follow," described Hamilton. "Mike's humble approach and philanthropic work to support UVic have been significant and critical to our efforts to attract and support top students." Lori Clarke played for the Vikettes women's basketball under legendary head coach Kathy Shields in the dynasty eras that captured five national championships in eight seasons. Clarke helped the Vikettes to two of those national banners in 1985 and 1987, while also capturing a silver CIAU medal in her three-year career with UVic. With Clarke, the Vikettes also won three-straight Canada West conference titles from 1984 to 1987, and the Abbotsford, B.C. native was a top rebounding forward on the team and in the conference. Clarke transferred to the University of Victoria in 1984 from Eastern Washington University and was a Canada West conference All-Star and CIAU All-Canadian in all three years that she played. In her final season, Clarke led UVic to a national title and was voted the Nan Copp Player of the Year Award, an award that only five Vikes have won since 1979. To cap it off, Clarke was named UVic Female Athlete of the Year in 1987. Clarke's accolades at UVic were further verified in her post-collegiate career where she played professionally in Europe from 1989 to 1996 and was a fixture for Team Canada from 1985 to 1992. Clarke helped Canada tie its highest placing ever at the World Championships in 1986 finishing with a bronze medal. She also captained the national team in 1990 to a seventh place finish at the World Championships. Sara Brant (Ballantyne) competed all five years for the Vikettes women's field hockey team from 1982 to 1987. Brant was a Canada West champion in three seasons (1983, 1984, 1986) and was a part of the inaugural team that won a CIAU National Championship banner. Brant also captured three CIAU bronze medals in her career. At a time where there were few awards to win, Brant was still recognized. The Victoria native was a Canada West All-Star in all five of her seasons with UVic. She was also a CIAU All-Canadian from 1985 to 1986 with 1985 being the first year that the All-Canadian awards were formed. Brant was also named to the CIAU Tournament XI for her performance at national championships in four of her five seasons (1983 to 1986). Brant's accomplished almost all that was athletically possible as a field hockey athlete while at UVic, while her talents were also on display at a national and international level. In 1985, Brant helped Team B.C. win gold at the Canada Summer Games and was a B.C. Player of the Year in that time. A long-standing member and contributor, still to this day, in the Vancouver Island Ladies Field Hockey Association (VILFHA), Brant was awarded the VILFHA Most Valuable Player Award three times, as well as the Christine Trophy for her service to the league. Internationally, Brant was a member of the Canadian Junior National side from 1983 to 1985 and the Canadian senior national team from 1985 to 1990. She competed for Canada at the 1986 World Cup (3rd), the 1988 Seoul Olympics (6th), the 1990 World Cup (10th) and the 1987 Pan American Games (3rd). She also competed for Canada in Champions Trophy Tournaments where the Top 6 teams in the world compete. Mike Holmes competed as a varsity athlete for the Vikes men's rugby team from 1982 to 1987, while completing his Bachelor of Arts degree. He then returned to UVic to pursue a Law degree. Holmes was an accomplished player competing for B.C. provincial and Canadian national teams, while attending UVic, but after graduating Holmes went on to practice law with Emery Jones Law firm, while continuing to be a prominent alumnus working hard to develop partnerships to help the Vikes financially. In 2011, Holmes was recognized with the Times Colonist Publisher's Award presented to individuals within the community that have made an outstanding voluntary contribution to a varsity program. Holmes and Howard Gerwing, who was previously inducted in to the UVic Sports Hall of Fame as a builder, created one of the first athletic scholarships at UVic in 1987 in memory of Brian Williams starting what is now 31 years of philanthropy for the Vikes. Holmes is a founding member of the Canadian Rugby Foundation, a non-profit society that uses an endowment to develop rugby across Canada. Holmes serves an executive director, as the fund has raised over 2 million dollars, and now funds many of the youth development programs in Canada, as well as forming the Canadian University Rugby Championship. Holmes has initiated programs to make sure youth representatives can afford to play the sport of rugby. In the recent years Holmes embraced a Vikes challenge to raise nearly $800,000 for the Vikes men's rugby program and started new campaigns to create a Vikes coaching fund to help fund assistant coaches. He has also started a tour fund to ensure future Vikes get the opportunity to experience international travel and competition. Holmes has also recently created a scholarship in the UVic Faculty of Law for a prospective male of female varsity rugby player and the fund has already exceeded $120,000. The Victoria native also co-founded the Courtenay Walls Award, the Cuchalain Award and Marlene Donaldson award for Vikes women's rugby players. Holmes' philanthropic energy and passion for sport has been evident in every area of his life as he is a founding member of the Velox Valhallians sports club, a member of the Vancouver Island Real Estate Board and helped form and was president of West Mont Montessori School. His support for the building of scholarships and an active alumni database has made him one of the most pivotal people involved in the Vikes rugby programs and a true representation of a builder. All three inductees will be honoured at the Celebration of Champions and UVic Sports Hall of Fame banquet on Friday, Apr. 5 at the Victoria Conference Centre. The evening will bring together the current varsity programs to celebrate their success and accomplishments from 2018-19, while also honouring the past in the UVic Sports Hall of Fame inductees. The UVic Sports Hall of Fame was founded in 2002 to honour those individuals who have contributed significantly to sport or recreation at the University as athletes, coaches, teams or as builders. All of the inductees are visually represented in the Lynda & Murray Farmer Walk of Excellence, located on the first floor of the Centre for Athletics, Recreation and Special Abilities at UVic. Hall of Fame nominations are accepted on an on-going basis. Nominations and previous award recipients can be found online at govikesgo.com/hof. Tickets will be available in the coming months for the Celebration of Champions event. Event information for the Apr. 5 will be available at govikesgo.com/coc. Note: The name for the Canadian Interuniversity Sport national body that UVic student-athletes compete under has changed names throughout time. From 1906 to 2000 they were known as the CIAU (Canadian Interuniversity Athletic Union) and then adopted CIS (Canadian Interuniversity Sport) in 2001, before officially becoming U SPORTS in April 2017. References above relate to what the national body was called when the inductee(s) competed. All media enquiries should be directed to Ali Baggott, Vikes Communications Officer, at vicvikes@uvic.ca or 250-721-8410.